I am fortunate to live in an area where there are a lot of things happening. And in early April I attended a convention that showcases many artists…where I happened to meet artist (and cat lover!) 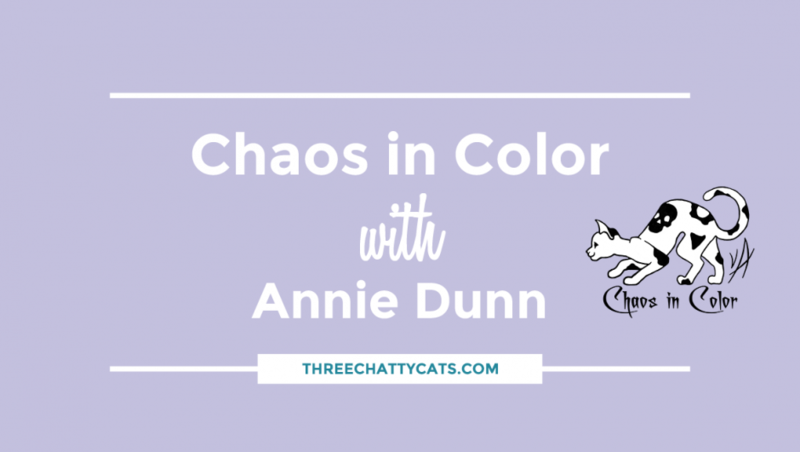 Annie Dunn, the creative mind behind Chaos in Color. Now, this was actually my second encounter with Annie, the first being a couple years ago, but I didn’t actually get a chance to speak with her then. But this time around, I happened to see a photo of Annie’s rescued cats. So, I struck up a conversation and now here we are today with a profile on Annie and her beautiful artwork. Where did the name Chaos in Color come from? When I first started playing with digital artwork, I was better at math than at painting. Chaos theory and 3D rendering (which involves a lot of color) were two of my favorite topics, and I used these processes to create pretty things. So the name came about during that time as simple wordplay. And yet when I started with digital painting, the name still felt like it fit because math is at the core of everything digital. I’ve found this difficult to explain to people, so now I usually just say that Chaos in Color describes my life. It’s a true statement but of course it doesn’t tell the history. All of my finished pieces are freehand digital, which means that I paint using a tablet and stylus connected to a workstation. Due to being freehand (no photo manipulation) I still have to put down every stroke, and that makes the creation process fairly time consuming. I also do ballpoint pen sketches, and sometimes watercolor or charcoal, but those are practice pieces. You can’t beat digital for representing color. I also think it’s amazing that digital images are basically long strings of numbers, and that conversely a stream of numbers can be turned into something so visually stunning. To me that’s incredible stuff, really almost poetic. 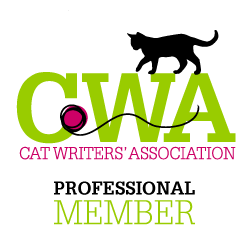 Do you have a favorite cat piece that you’ve created? I’m partial to the pieces with warm colors – reds, oranges, pinks. As such, Rendezvous, Lucipurr, and Purrberus are some of my current favorites. 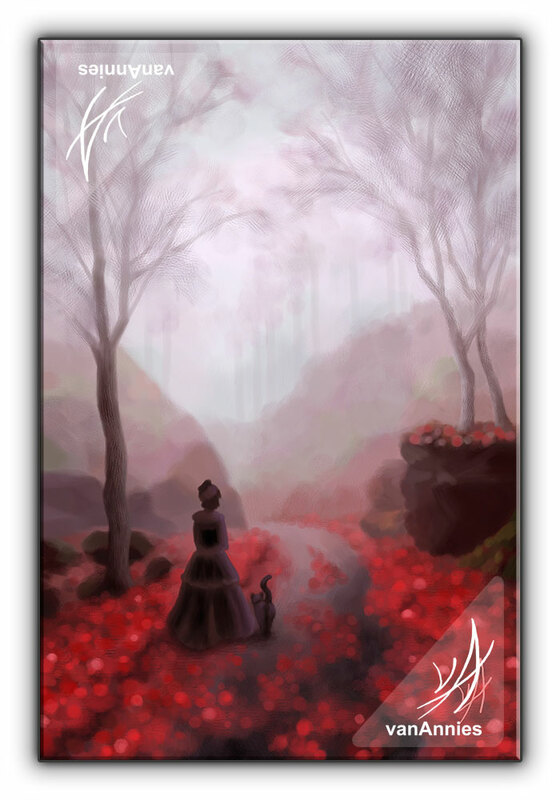 My most recent red piece, February Fog, takes a somewhat different approach because the cat in that painting is rather small, but I’m really happy with how it turned out. We sold out of February Fog canvas and matted prints at a recent show, so it appears to really resonate with other people as well. Are you a full-time, professional artist? Or do you have another “9 to 5” gig? I took a serious interest in digital painting about fourteen years ago, and I’ve been a full-time artist for about six years. Please tell us about your rescued cats. We currently have eleven indoors cats and also feed and TNR a small colony of outdoor ferals. All of our indoor cats are rescues, some from rescue groups and some that we took in from the neighborhood. There is a lot of gray and black fur in my house! The one orange cat looks like a bit of an alien amongst all the others, although we now have a calico to help him fit in color-wise. 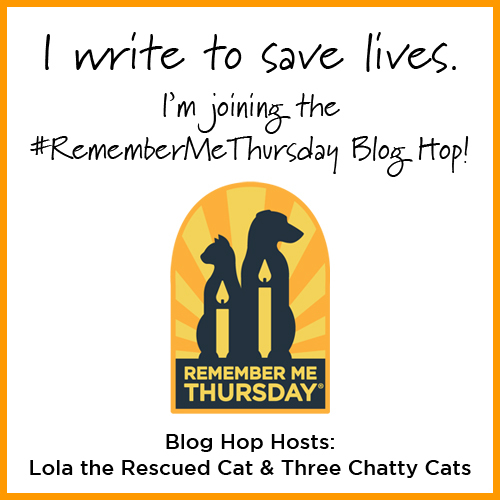 Will you talk about your TNR efforts? A few years ago some kittens started showing up in our backyard. They were definitely young but still old enough to be truly feral, I’m guessing five months. We started feeding them, and with the help of our pet sitter (who also happens to be a rescue volunteer), we started doing TNR for the cats who visit our yard. We have a reputation in the neighborhood for being cat people, so some months later a neighbor approached me about a feral mom and kittens in her own yard. Since we had at least a little experience, we helped her with the TNR of that family. There are now more cats showing up at our feeding bowls and we just this week trapped another family – a feral mother with six kittens. Some of the neighbors have been really supportive both financially for the spay/neuter and also by letting us put traps on their property. CowCats is an online adoption center where private individuals and families can list pets for adoption, so there is no shelter or organization. I wrote the software that runs the website and am solely responsible for its ongoing maintenance. It doesn’t bring in any funding of its own so I pay for hosting and such through my art business. I used to volunteer with a local rescue group and I saw the need for such a service because of the sheer number of times we had to turn away people looking for help. 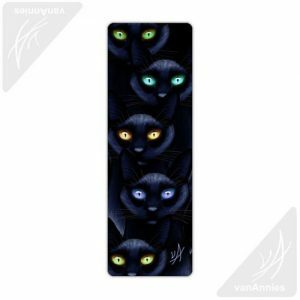 The first time I saw Annie’s artwork at a show a few years ago, I purchased three of her metal bookmarks. Sadly, I’ve misplaced two of them (probably in a book somewhere), but I still use this one pictured here. I would love to share Chaos in Color with others, so I will be purchasing a bookmark for one lucky reader! You can view the current ones available for purchase at the bookmark section of the Chaos in Color website. The winner can pick their favorite one! Simply leave a comment below to be entered in the giveaway. The giveaway closes on Friday, June 2, 2017 at noon Pacific. One winner will be chosen via Random.org. Shipping is to the U.S. only. 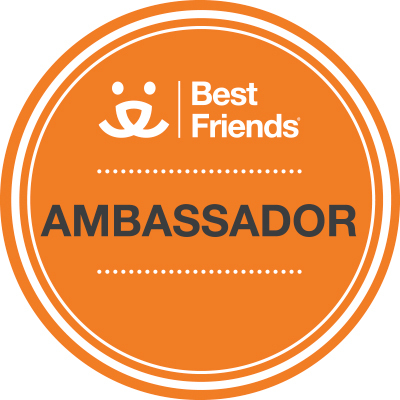 If you are an international entrant and the winner, you can choose a U.S. friend to have the bookmark sent to. Isn’t Annie’s artwork beautiful? You can view more pieces at Chaos in Color. You can also find Chaos in Color on Facebook and Instagram. 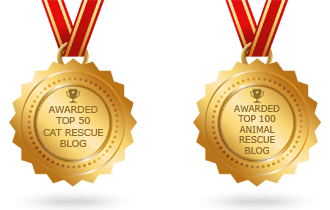 And be sure to check out Annie’s CowCats.com website – “A Grassroots Movement to Help Homeless Pets”! I love finding about artists. Creative people are fascinating. Thank you for that! I checked out the bookmarks, too. Being a reader, there are a couple that I may get. I hope I win! Thanks! Oh Annie’s work is GORGEOUS! I LOVE that what she does (even if it is digital), is still done by hand. I used to be an Art Major so I have an aversion to digitally created works that aren’t still drawn by hand and I am so happy hers are! 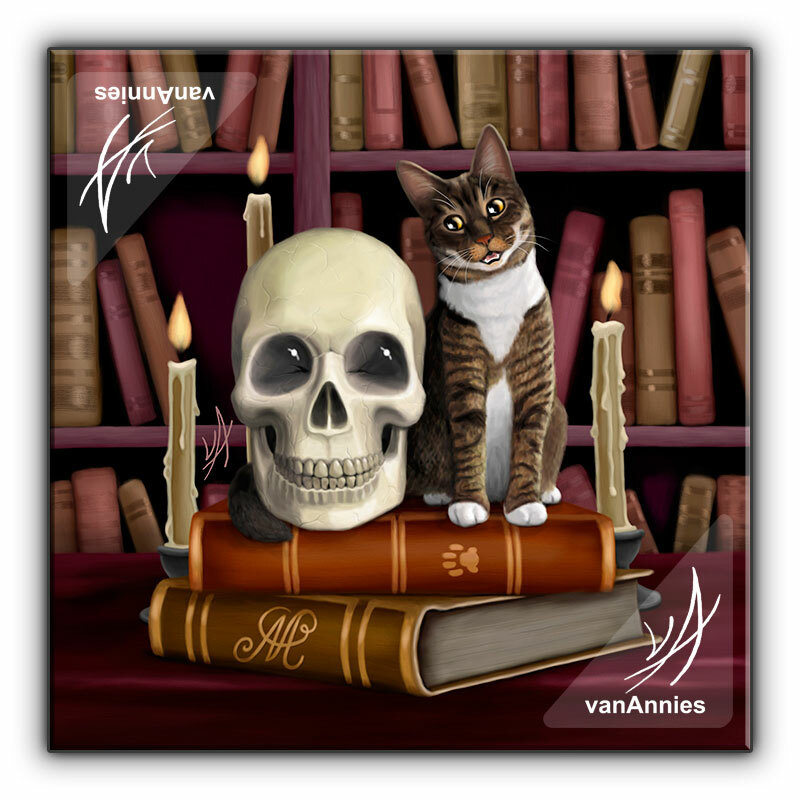 If I am lucky enough to win, I LOVE the Amazing Stories (Cat and Skull in Library) Metal Bookmark….because the cat that she has on that bookmark looks EXACTLY like my Angel Bobo. Thank you for the opportunity! Beautiful work and awesome interview! We thank her for working so hard to help ferals. Thanks for sharing Anne and her works with us! Beautiful work – thank you for sharing her art with us.It is so great to hear of people seeing a need and filling that need. Wow, I am so impressed with both the art AND the cat love! Gotta get me one of the kitten-in-space pins, and since I read, read, READ all of the time, a bookmark too! 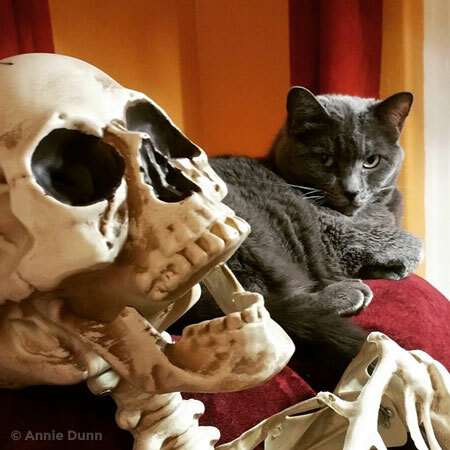 Thanks for sharing Annie Dunn with us! Wonderful story! I’m glad you are a full time artist, but not surprised! Beautiful work. I love Annie’s artwork. I’ve featured several “cat artists” too, but I must confess I hadn’t seen her work before. i really love it! Such talent and compassion. We enjoyed the interview lots! I am always amazed at the wonderful, talented cat people you find to interview. Annie’s artwork is captivating and so original! Will definitely be checking it out. Thank you for all you do, both of you! 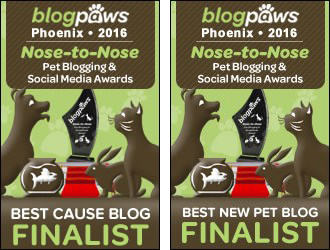 Congratulations again on Best Cause Blog … it was well-deserved – and I’m so proud to know you! This art is incredible and incredibly beautiful! WOW. I’m speechless! Such beautiful artwork! The process is fascinating, doing every stroke by hand, and the results are amazing! Wow! Annie’s artwork is simply stunning! She’s so talented. Thanks for sharing it with all of us. Her art is very unique I love the look! Thanks for sharing! 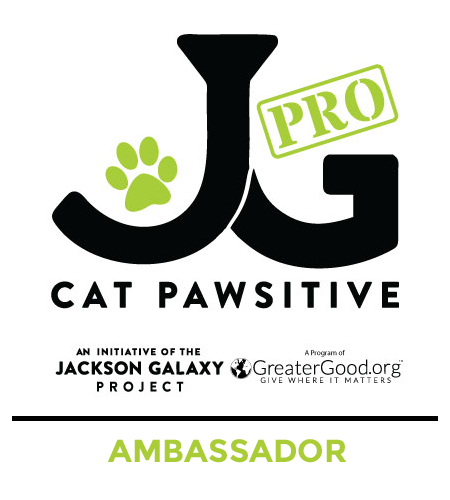 Her artwork is awesome, plus she rescues and TNR’s too. Yet another great interview. Thanks for sharing your interview with her. We really enjoyed it. Beautiful artwork! It’s amazing to me that it’s all created digitally and freehanded! It seems like it would so much more difficult to draw on a tablet than on paper. Annie is super talented! Love what she does for TNR and rescue too! Annie’s work is beautiful and she sounds like an amazing woman. Thank you for the words of comfort you left for me on the loss of Snowball. 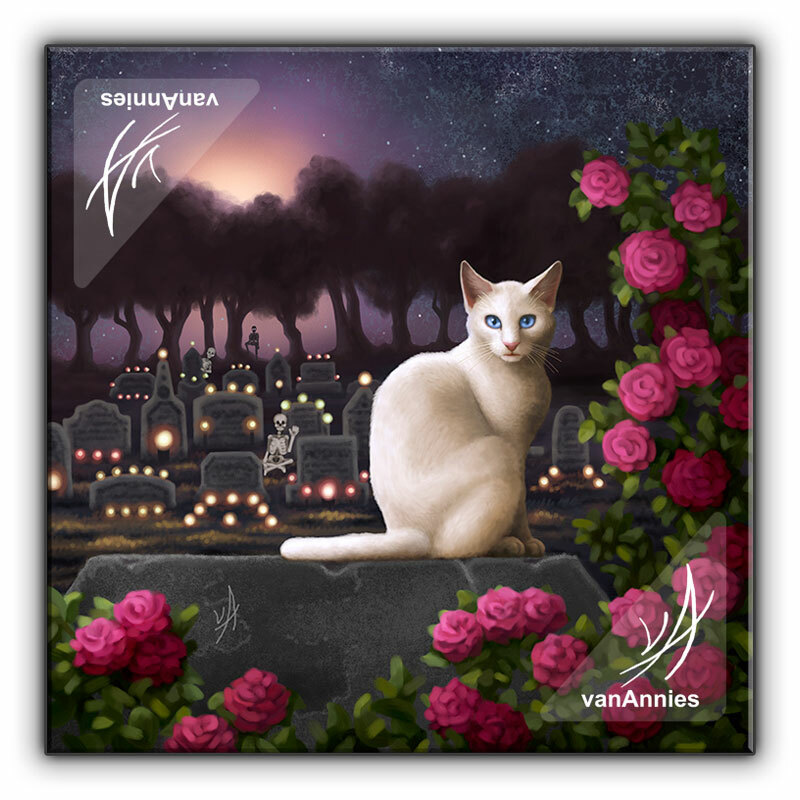 What wonderful digital art Annie creates featuring kitties! The rich colors are so beautiful. I, too, am attracted to the rich reds, oranges and pinks I think the most of all the colors. She is not only making great art, but helping so many kitties. Mew Mew! 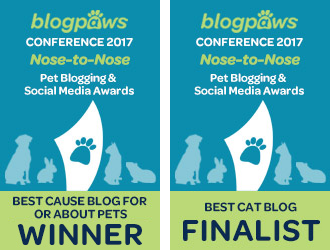 Hi Chatty Cats, OMC that artwurk is totally incredible, in fact epically epic, thank mew so much fur sharing – it really brightened our day no end! Yes her artwork is lovely. Very unusual, too. Her artwork is absolutely stunning! I have to get at least one of her prints. I’m sorry I just got here. I love the art and couldn’t decide on a bookmark anyway. I thought digital art was the stuff on DreamScope. I guess I’m wrong.